Does your bright child, despite all she has going for her, seem anxious or depressed or both? Do you lay awake at night worrying about her? Is she acting up or turning inward? What happened to the happy childhood you dreamed of for your child? Being twice-exceptional often carries a strong emotional burden – for both child and parent. Chloe was a happy, creative, outgoing, fun, little girl as a toddler and through preschool. She was fascinated by nature and science, highly verbal, organized gangs of children to play parts in elaborate role-playing games she created, and was so well-liked that every child thought she was their best friend. True – she was highly sensitive, a bit too energetic, and demanded a lot of attention. But, a phrase her parents chose to describe Chloe at age five was: “a child who sees the glass as neither half-full nor full, but rather as brimming over.” A true optimist with a rosy outlook on life. Things began to change in first grade. Her teachers noticed she wasn’t learning to read as fast as the other children. She had trouble sitting still in class. Math facts went in one ear and out the other. Because she was so sensitive, Chloe grew hyperaware of these deficiencies. By the time her parents took her for a neuropsych assessment at age 7 she was diagnosed with generalized anxiety disorder in addition to dyslexia, ADHD, and giftedness. She was placed in special ed. She grew withdrawn and depressed. Eventually, as Chloe’s challenges were addressed and her strengths reinforced in ways appropriate for a twice-exceptional learner, there were times when she could be described as happy. Especially over the summers when she could pursue her interests at gifted and other summer programs. But so many forces worked against her during the school year that she ended up in therapy and ultimately on antidepressant and anti-anxiety meds by high school. An interesting question to ask is how much of this anxiety and depression was caused by her twice-exceptionality, and how much would have existed anyway. She might have had a genetic predisposition that would have pushed her that direction regardless of her struggles. But one thing we do know about genetic predispositions is that they must interact with factors or triggers in the environment to be expressed. Being just gifted or just having ADHD or just having dyslexia might have been enough to trigger the expression of a genetic predisposition. However being twice exceptional adds an extra burden that may have been the straw that broke the camel’s back for Chloe. Students who are twice exceptional often hold themselves to high performance expectations, fear failing to meet them, and develop low self-esteem (SENG article). What are 5 things parents can do to support their anxious or depressed twice-exceptional child? Understand what your child is dealing with in all areas of exceptionality – the gifted/strengths side and the disability/weaknesses side. This may necessitate a neuropsych assessment. Share understanding with your child in age-appropriate terms. Let your child know they are really smart, they just have a few areas of challenge that need to be worked with. Knowing when your child can’t do something as opposed to won’t may help you to be more supportive at homework and report card time. Address areas of challenge. Try to fix what you can (the brain can be rewired to a certain extent), remediate learning challenges, let your child learn the way he/she learns best (e.g. viewing videos or listening to read-alouds), find tutors, seek support at school, consider homeschooling, find work-arounds to problems as they crop up (e.g. sitting on a bouncing ball if fidgety while doing homework). Ignoring challenges in the hope they will go away is rarely an effective strategy. Reinforce strengths and interests. This should probably be listed as the number one most important step to take, and is too often overlooked. Chloe wasn’t anxious when she could pursue what she was interested in and was good at. It was only constantly being required to do things she wasn’t good at in school that created stress and self-doubt. Encourage your twice exceptional child in the pursuit of his or her genuine interests and they will develop a protective core of self-confidence. Learn about anxiety and depression, especially in twice-exceptional learners. 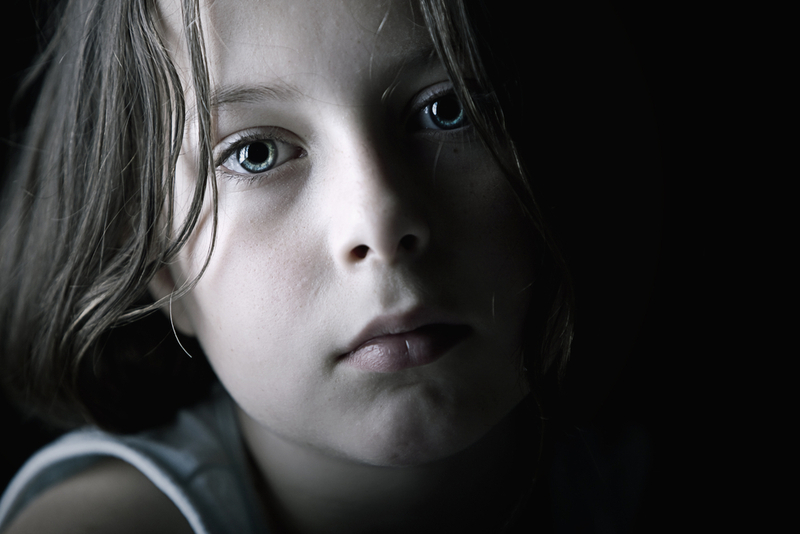 There are many excellent articles about anxiety and depression in twice-exceptional and gifted students on the Hoagies, Social and Emotional Needs of the Gifted (SENG) and Association for the Education of Gifted Underachieving Students (AEGUS) websites. Take care of yourself. Parenting a twice-exceptional child is exhausting, frustrating, and can feel like a full-time job. Take breaks, take vacations, get therapy for yourself, do some marriage counseling if you and your spouse are not on the same page, meditate, exercise, take a class in something you enjoy. If you feel guilty doing things for yourself, know that a depressed and anxious parent is a risk factor contributing further to anxiety and depression in the children they parent. And remember that the biggest predictor of success in a child with an exceptionality like Chloe is a parent who believes in them – who stands by them and picks them up when they fall. That’s really what parenting is all about anyway, isn’t it?